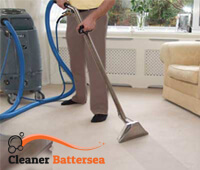 We are a reputable company, which used to provide the residents in Battersea with perfection when it comes to carpet cleaning. We always manage to satisfy the demands of all of our customers and that’s why we keep our position as leaders on the market. We collaborate only with far-fledged people and we provide all of them with suitable training, so that when they show up on your driveway, they are completely ready to manage with every task and to meet your requirements, and even more, to exceed them. Part of their successful results is due to the modern and innovative technologies which they use. 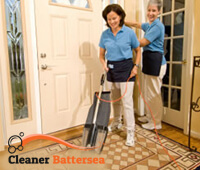 Our brand name is always related to quality and accurateness by our customers in SW11 when it comes to carpet cleaning. Owing to our cleaning technicians and their immaculate results, we are are the first choice of everybody who is looking for reliable carpet cleaning services and who comes to terms only with perfection. Our cleaning technicians will arrive just on the dot, and start with their work without lingering. They will vacuum clean, pre-treat the old stains and disinfect with hot water carpet cleaning extractor. After they make sure that your carpet is properly and thoroughly cleaned, they will use moist-extraction system to dry it and finally they will deodorise it. Protect your beloved ones and maintain your carpet in a perfect condition. Most of the allergies and diseases are caused by mites, who are inhabiting your home and mostly, your carpet. To keep your carpet clean and disinfected by yourself is impossible task, unless you don’t have a professional equipment, experience and time. It is a lot easier to get advantage of our carpet cleaning services which we provide in Battersea, SW11 and give your family the cosy atmosphere of a home. Contact our support centre and arrange your carpet cleaning with us in a convenient for you time.